Using density functional theory based calculations, the interaction of CO2 and Cu2O (111) surface is analyzed by determining the most stable adsorption configuration of CO2 on the surfaces. An oxygen vacancy in the lower layer is introduced to investigate the effect of a defect toward CO2 adsorption. This vacancy caused the coordinately unsaturated Cu (CuCUS) atom to sink and interact with the Cu atoms below it as depicted by the charge difference distribution. This movement caused the adsorption of CO2 to weaken as there are fewer charges available around the CuCUS atom in the O-vacant Cu2O (111). K. Estolloso and A. A. Padama. 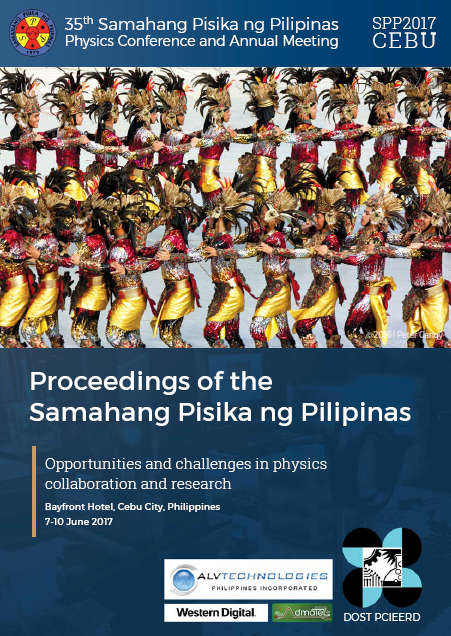 The effect of O vacancy on the adsorption of CO2 on Cu2O(111), Proceedings of the Samahang Pisika ng Pilipinas 35, SPP-2017-2B-07 (2017). URL: https://paperview.spp-online.org/proceedings/article/view/50.